‘See better, Lear!’ is the admonition Kent gives his King after he has petulantly banished his youngest daughter, Cordelia, because she ‘lacks that glib and oily art’ to flatter him as her false sisters have done. Sight and blindness is a central theme in King Lear, as is its corollary, deception, both of others and oneself. The status of colour crops up in philosophical discussions at various periods – it is Locke, I think, who argues that colours are not ‘primary qualities’ (such as shape, extension and solidity) but only ‘secondary’ in that they involve an interaction between eye and object and cannot be said to inhere in the object itself as the primary qualities are supposed to do – but it is really a subset of a larger argument that takes us back (as always) to Plato. Plato, it will be recalled, dismisses the world brought to us via the senses as deceptive Appearance, maintaining that the true nature of the world – Reality – can only be apprehended by the intellect: it is the world of Forms or Ideas. As I have argued elsewhere (‘In the beginning was the Word’) what Plato has really discovered is the power of general terms – the Platonic Idea or Form ‘table’ is not something that lies beyond the word ‘table’, to which it points, it is in fact the word ‘table’ itself – which can be used in thought to stand for any table, because – unlike a picture – it does not resemble any particular table. This introduces a whole new way of thinking about the world, where it is no longer seen directly, through the despised senses, but apprehended by the intellect through the medium of language. And there is no better way of appreciating this than to try and draw something shiny. What colour is the car? Why, black, of course – with some shiny bits. That is how it was described on the official documentation – Daimler DR450, Black. But what about all those other colours, then? Ah, now, that’s just reflections of one thing and another – you can ignore them; the car’s real colour is black (and its radiator grille etc aren’t coloured at all, they’re shiny chrome plate). And that is Platonism in action: the intellect overrides the senses, reserves judgement to itself – and it does it through words: ‘light’ conveniently labels – and so keeps you from looking at – something that is very difficult to render faithfully in a drawing. You find that reflective surfaces, far from being bright, are often dark and dull; a tiny patch left uncoloured on a white page becomes a gleam of light when surrounded by greys and blues, even black. And your mind, on seeing the drawing, converts it back to an image of a plated surface – perhaps the most interesting part of the process. It is as if we erect a glass screen between ourselves and the world, and on the screen we write the words that correspond to the things beyond – ‘mountains, trees, clouds, house, road, cars, people’ – and most of the time what we see is not what is in front of us, but only the words on the screen that give us the simplified general picture, at once a tool of immense power (enabling rapid thought unencumbered by distracting detail) and a great impoverishment of our experience – it inserts a carapace between us and the world. See better. Draw. Then go out and look. When I was young and studying philosophy at Edinburgh University I remember becoming excited about the figurative use of prepositions; they seemed to crop up everywhere, openly and in disguise as Latin prefixes, in uses that clearly were not literal. Reasoning from the fact that the meaning of any preposition could be demonstrated using objects and space, I concluded that a world of objects and space was implied in all our thinking, and that this might act as a limit on what and how we thought. What strikes me about this now is not so much the idea as the assumptions on which it is based: I have made Language in its full-blown form my starting point, which is a bit like starting a history of transport with the motor-car. As I have suggested before, what we think of as ‘Language’ is a relatively recent development, arising from the invention of writing and the influence it has exerted on speech, simultaneously elevating it above all other forms of expression and subjugating it to the written form. It is the written form that gives language an objective existence, independent of human activity, and relocates ‘meaning’ from human activity (what Wittgenstein terms ‘language games’ or ‘forms of life’) to words themselves; and alongside this, it makes possible the systematic anaylsis of speech [as discussed in The Muybridge Moment]. In that earlier theory of mine I took for granted a number of things which I now think were mistaken. The first, as I have said, is that the milieu which gives rise to the figurative use of words is the developed form of language described above; that is to confuse the identification and definition of something with its origin, rather as if I were to suppose that a new species of monkey I had discovered had not existed before I found and named it. Bound up with this is the model of figurative language which I assumed, namely that figurative use was derived from literal use and dependent upon it, and that literal use was prior and original – in other words, that we go about the world applying names like labels to what we see about us (the process of ‘ostensive definition’ put forward by St Augustine, and quoted by Wittgenstein at the start of his Philosophical Investigations) and only afterwards develop the trick of ‘transferring’ these labels to apply to other things (the word ‘metaphor’ in Greek is the direct equivalent of ‘transfer’ in Latin – both suggest a ‘carrying over or across’). The logic appears unassailable: clearly, if metaphor consists in transferring a word from its literal application and applying it elsewhere, so that the sense of the original is now understood as applying to the new thing, then the literal use must necessarily precede the metaphorical and the metaphorical be wholly dependent on and derived from it: to say of a crowd that it surged forward is to liken its action to that of a wave, but we can only understand this if we have the original sense of ‘surge’ as a starting point. However, there is a difficulty here. It is evident that there can be no concept of literal use and literal meaning till there are letters, since the literal meaning of ‘literal’ is ‘having to do with letters’. Only when words can be written down can we have an idea of a correspondence between the words in the sentence and the state of affairs that it describes (what Wittgenstein in the Tractatus calls the ‘picture theory’ of language). If what we term metaphors were in use before writing was invented – and I am quite certain that they were – then we must find some other explanation of them than the ‘transfer model’ outlined above, with its assumption that literal use necessarily precedes metaphorical and the whole is an intellectual process of reasoned comparison. The root of the matter lies in the fact already mentioned, that only with the invention of a written form does the systematic analysis of speech become possible, or indeed necessary. Before then (as I suggest in ‘The Disintegration of Expression‘) speech was one facet or mode of expression, quite likely not the most important (I would suggest that various kinds of body language, gesture and facial expression were possibly more dominant in conveying meaning). It was something that we used by instinct and intuition rather than conscious reflection, and it would always have been bound up with some larger activity, for the simple reason that there was no means of separating it (the nearest approach would be a voice speaking in the dark, but that is still a voice, with all the aesthetic qualities that a voice brings, and also by implication a person; furthermore, it is still firmly located in time, at that moment, for those hearers, in that situation. Compare this with a written sentence, where language for the first time is able to stand on its own, independent of space and time and not associated with any speaker). There is a great liberation in freeing metaphor from the shackles that bind it to literal language (and to logic, with which it is at odds, since it breaks at least two of the so-called ‘laws of thought’ – it violates the law of identity, which insists that ‘A is A’, by asserting that A is B, and by the same token, the law of contradiction, which insists that you cannot have A and not-A, by asserting that A is not-A). It allows us to see it from a wholly new perspective, and does away with the need to see it either as an intellectual act (‘seeing the similarity in dissimilars’) or as something that necessarily has to do with words or even communication; I would suggest that metaphor is primarily a way of looking at the world, and so is first and foremost a mode of thought, but one that operates not through the intellect and reason but through intuition and feelings. To illustrate this, I would like to take first an example I came up with when I was trying to envisage how metaphor might have evolved. Two brothers, out in the bush, come on a lion, at a safe distance, so that they can admire its noble mien and powerful grace without feeling threatened. One brother smiles and says ‘mother!’ The other, after an initial look of puzzlement, nods his head in affirmation and laughs. The explanation I furnished to accompany this is that their mother is a formidable and beautiful woman and that the first brother, seeing the lion, is reminded of her, and by naming her, invites his brother to make the same comparison that has already occurred to him, which he does after a moment’s puzzlement, and the two take pleasure in this new and unexpected – yet apt – use of the word. I think that the focus here is wrong: it is still concerned to make metaphor about words, and to see it primarily as a way of communicating ideas. I would now like to alter the story slightly. A man on his own in the bush catches sight of the lion (from a safe distance, as before). On seeing it, he is moved: the sight of it stirs him, fills him with a mixture of awe and delight. And it is not what he sees, but rather what he feels, that calls his mother to mind: the feeling that the lion induces him is the same as he has felt in the presence of his mother. That is where the identification takes place, in the feeling: the outer circumstances might differ (the lion in the bush, his mother in the village) but the inner feeling is the same. If we think of an experience as combining an external objective component with an internal subjective one (and I am carefully avoiding any notion of cause and effect here) then the origin of metaphor lies in experiences where the external objective component differs but the internal subjective component is the same. We can demonstrate by reason that the lion, or the sight of it, is the cause and the emotion the effect, because if we take the lion away (for instance, before the man comes on it) the man does not experience the emotion (although he may experience ‘aftershocks’ once it has gone, as he recalls the sight of it). But there is a fault here. If we leave the lion but substitute something else for the man – an antelope, say, or a vulture – does it still have the same effect? It is impossible to say for sure, though we may infer something from how each behaves – the antelope, at the sight (and quite probably the scent) of the lion might bound away in the opposite direction, while the vulture (sensing the possibility of carrion near by or in the offing) might well move closer. My point is that the analysis of cause and effect is rather more complex than I have presented it here, which is much as David Hume makes it out to be, with his analogy with one billiard ball striking another; as Schopenhauer points out, what causes the window to shatter is not the stone alone, but the fact of its being thrown with a certain force and direction combined with the brittleness of the glass (and if the stone is thrown by a jealous husband through his love rival’s window, then we might need to include his wife’s conduct and the construction he puts upon it in the causal mix). Change any one of these and the result is different. My being human is as much a precondition for the feelings I experience in the presence of a lion as the lion is, and I think that this is a case where, as Wordsworth puts it, ‘we murder to dissect’ – it is much more enlightening to consider the experience as a single simultaneous event with, as I have suggested, an inner and an outer aspect that are effectively counterparts. So the lion is the embodiment of the man’s feelings but so is his mother, and the lion and his mother are identified by way of the feelings that both embody; and the feelings are in some sense the inner nature or meaning of both the lion and the mother (think here of all the songs and poetry and music that have been written where the lover tries to give expression to his feelings for his beloved). This interchangeability and the identity of different things or situations through a common feeling aroused in each case is the foundation of metaphor and, I think, the key ‘mechanism’ of Art. (This has an interesting parallel with the philosophy of Schopenhauer, as expressed in the title of his work Die Welt als Wille und Vortsellung, variously translated as ‘The World as Will and Representation’ or ‘The World as Will and Idea’. In this he borrows from Eastern philosophy to present the world as having a dual aspect – objectively, as it appears to others and subjectively, as it is in itself. Its objective aspect, Representation, is made known to us via our senses, and is the same world of Objects and Space with which this discussion began; we cannot by definition see what it is like in itself since it only ever appears as object, but once we realise that we ourselves are objects in the ‘World as Representation,’ we can gain a special insight by ‘turning our eyes inward’ as it were, and contemplating our own inner nature, which we know not by seeing but by being it. 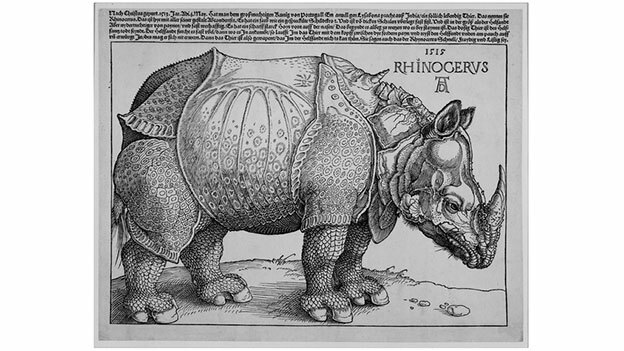 I would diverge from Schopenhauer – and the evolutionary biologists – in their pessimistic and derogatory account of the inner nature of things, on two grounds. The first is that it makes us anomalous. Schopenhauer asserts that ‘in us alone, the Will comes to consciousness’ but is unable to explain why this should be so, while his only solution to the revelation that all things are just the urges of a blind and senseless will is effectively self-annihilation (not a course he chose to pursue himself, as it happens – he lived to be 72). There is a lack of humility here that I find suspect, a desire still to assert our uniqueness and importance in a senseless world. If the Will is indeed the inner nature of all things (and that is questionable) why should we consider ourselves the highest manifestation of it? The second ground is the nature of the feelings that I describe, which are the opposite of pessimistic: they are uplifting, feelings of awe, elation and delight. There is a fashion nowadays for explaining everything in terms of genetic inheritance or evolutionary advantage (‘stress is a manifestation of the fight-or-flight reaction’ for instance, or any number of explanations which couch our behaviour in terms of advertising our reproductive potential) but I have yet to come across any satisfactory explanation in the same terms of why we should feel elated in the presence of beauty, whether it is a person, an animal, a landscape, the sea or (as Kant puts it) ‘the starry heavens over us*’. The characteristic feature of such experiences is ‘being taken out of yourself’ (which is what ‘ecstasy’ means) a feeling of exaltation or rapture, of temporarily losing any sense of yourself and feeling absorbed in some greater whole. The best answer is a vague one: our ideas, our Art – by which I mean stories, music, poetry, painting, dance, whatever we use as modes of expression – are our response to being human, to finding ourselves here and wondering at it. Art arises from what I think of as an ‘internal pressure’ : from time to time there is something ‘inside’ that we want ‘to get out there’ in the sense of giving it a public form that we and others can consider. But we should not be misled into thinking that we have privileged or prior access to what we express; that is a version of what Wittgenstein calls the ‘private language argument’ where we suppose that we know what we mean ‘in our heads’ and then translate it into words, as if it existed in two forms, a private internal one to which we alone have access, and a public form that we give it. What Wittgenstein contends is that there is only public language, an unruly body of material that we hold in common (and master only in part), which is the only available stuff we have for verbal expression; we have to make the best of it, hence the tentative nature of all utterance and the struggle it involves. This notion of the struggle to express is a central theme of TS Eliot’s East Coker the second of his Four Quartets. – which should, I think, be every writer’s (and artists’s) motto. For me, this notion of the tentative nature of all writing and the perennial nature of storytelling combine to shed light on an area where there is much misunderstanding today: the idea of the sacred text. To say that all writing is tentative is to assert that there are no privileged texts: none is exempt from this character of being a struggle to say something. So what of texts that are said to be ‘the word of God’ or to have been ‘dictated by angels’? Such expressions must be seen as part of that struggle: they are attempts to express the sacredness of the text, to convey its importance in the scheme of things. One way of putting this is to say that we do not call a text sacred because it is the word of God or was spoken by angels, we call it the word of God (or say it was spoken by angels) because we consider it sacred. This is a point worth untangling because it can help dispel a great deal of misunderstanding and arid controversy in the matter of religion and belief. Now, we might imagine a would-be plain-speaking, blunt common-sense fellow in the style of the Today programme’s John Humphrys butting in at this point to demand, ‘And was this man ever in Heaven? Has he heard the angels playing for God? Was he there when they played for themselves?’ In saying this, he might fancy that he is demolishing the credibility of the statement, but a more reflective listener would incline to think he was missing the point. For of course this is not a statement about heaven, the angels or God, and does not require a belief in those things for its understanding; it is a statement about the music of Bach and Mozart, and how they stand to one another and to all other music (it is saying that both are paramount, but that while Bach is the more glorious, Mozart is more joyous – or something like that; – for of course that is just my own attempt, my own struggle to convey what is meant here). You cannot controvert it by saying ‘But there is no God! there is no Heaven! 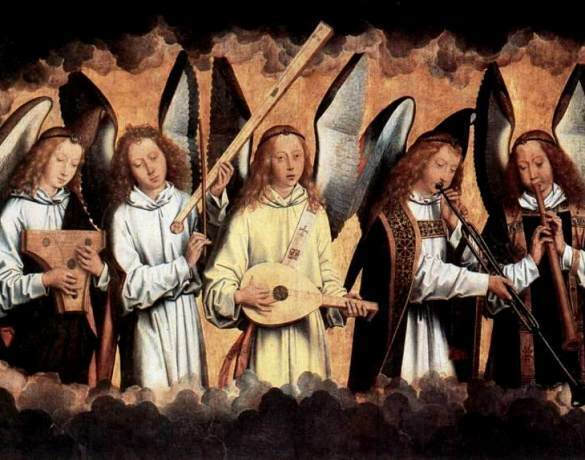 There is no such thing as angels!’ but you might challenge it by pressing the claims of some other composer, such as Arvo Part, Josquin des Prez or Hildegard of Bingen. By way of illustration, imagine that some explorers come on a curious stone deep in the forest. Subsequent examination shows it to be of extra-terrestrial origin, the remains of a meterorite. A great deal might be determined about its chemical composition and even its place of origin but you could discover nothing that showed it to be sacred. Then, some time later, the site where it was found is cleared and the remains of ancient buildings discovered. These resemble other buildings known to be associated with religious ceremonies and this is borne out by the discovery of wall-paintings and scrolls which depict an object much like the meteorite at the centre of a cult: it is carried in procession, elevated on a pillar, enclosed in a special building, has sacrifices offered to it and so on. At this point you might feel confident in asserting that the meteorite was a sacred object, and indeed this could be corroborated by natives of the country, who produce a traditional tale that speaks of a time when the people were in great trouble and saw a brilliant light fall to earth from heaven and so discovered the sacred stone, which then became the object of veneration and the centre of a religious cult. To reason thus is to overlook the fact that the story does not start with the meteorite: it starts with the people’s being ‘in great trouble.’ Of course I have just invented that by way of illustration, but the point is valid: we can imagine that there were plenty meteorites shot across the skies before this, but this one came at an opportune time. In other words, it came into a story that was already going on; it was incorporated into a pre-existing ‘form of life’, to use Wittgenstein’s term: what made it a sign was the fact that the people were looking for one; they felt the need of it. In other words, unlike the mammoths (say) which we can imagine grazing placidly, oblivious, as meteorites blaze across the sky, these people already had the habit of storytelling, of making things up to explain their situation to themselves. It is important to see that, fundamentally, they are in control: it is the people who choose to make the object sacred, to see it as a sign – they confer its status on it by incorporating it in a story. There is no necessity of the kind we normally look for in cause and effect, like the explosion that follows the lighting of a match in a gas-filled room; this is more an instance of what I have elsewhere called ‘elective causality’ where we choose to make something the ground or cause of our subsequent actions. So am I saying that religion (of whatever kind) is ‘just a story we made up’? Well, yes and no. When that assertion is made nowadays – as it often is – it is generally by people who mean to dismiss religion as something unnecessary, that has no place in modern society; something we have grown out of. And when that assertion is vehemently denied (as it also is), it is by people who insist on the central importance and continuing relevance of religious belief and practice. Yet in this particular argument both are mistaken, I think. Let us start by dispensing with that word ‘just’: to say that something is ‘just a story’ or ‘just made up’ is to prejudge the issue; you are signalling from the outset that you consider stories and making things up to be trivial activities, unworthy of serious consideration. That is not the case. The next thing to consider is whether by saying that something is a story or is made up we devalue it or detract from its credibility. I would say, emphatically, that we do not. Storytelling, and making things up generally – which I take to encompass everything we call Art – is an important human activity, perhaps the most important; and certainly the most characteristic. Yet it is the case that the same terms we use for these praiseworthy and admirable activities – ‘telling stories’ ‘making things up’ and indeed the whole vocabulary of fabrication – are also used in a pejorative sense to mean ‘telling lies’, a confusing ambivalence I have remarked on before, here. The fact that it is possible to make false allegations or give a false account of something – to represent the facts as being other than they are – should not mislead us into supposing that the paradigm for storytelling is the news report, the veracity of which is judged by measuring it against external circumstances – if its content corresponds to those circumstances, then it is true and accurate. The majority of stories are not of this sort. Though the temptation is to suppose that they are stories ‘about something’ (or paintings and photographs ‘of something’) and so must be judged in relation to that ‘something’, they should in fact be judged on their own merits: it is what is in them that makes them good, not how they stand in relation to something else. (We find this easier to grasp in relation to music, which we do not expect to be ‘about something’: the form of stories and pictures misleads us into looking for correspondence with external circumstances). ‘Truth’, when we apply it to art, is something that we ‘get’ and we respond by drawing others’ attention to it: ‘read this, look at that, listen to this’, we say, because we expect them to ‘get it’ too; and when they do, they smile and nod in agreement. No words need be spoken; explanation is superfluous, and indeed largely impossible: if the person does not ‘get it’ then you will not persuade him by reason: the best you can do is ask him to look or listen or read again. (And of course this ‘truth’ can be faked, too, as happens when someone copies what someone else does, usually for gain (though we can also copy in order to learn). In this case the story (or painting, or piece of music) is ‘unoriginal’ in a very precise sense: it does not originate, or have its source, in the person who created it: it is not the expression of what they think or feel; it did not result from the ‘internal pressure’ I spoke about above; the ‘struggle’ that we started out discussing is absent. That is why, as we grow older and our life experience – of both good and ill – becomes richer and more varied, that we find ourselves understanding what eluded us before; why we can suddenly say ‘now I see it!’ with absolute conviction; it is also why some things that impressed us in our salad days, when we were green in judgement, no longer satisfy – we see through them; they no longer ring true. And the big, mysterious things – the ineffable – if we engage with them honestly (and don’t start by thinking we already know), then we will be drawn to what has been said and done by those who have engaged in the same struggle – and may find comfort there. A man, a field, silence — what is there to say? And joy are strangers there. Has of itself no power to make men wise. I am quite sure now that what I did was wrong, on the simple ground that I would not have liked someone to come in and subvert what I had chosen to teach my class; besides, doing Higher English in a year can be hard enough without having extra texts sprung on you at a moment’s notice. So for that, I apologise (as I recollect, I was never actually paid for the class in any case, so that is amends of a sort, I suppose). However, I still think Thomas’s the better poem. It exposes a shallowness in Wordsworth’s thought: he overlooks the preconditions for learning from nature, which surely include some measure of material prosperity, a degree of leisure and perhaps also a certain level of education; if your relationship with the land is simply one of back-breaking toil for little reward, then I do not think you will reap many of the benefits that Wordsworth promises. But that aside, I find myself now in a curious pass, because I have changed sides in the debate – not between Wordsworth and Thomas, but between Wordsworth and philosophy. Though by training and education I am a meddlesome intellect and a murderous dissecter, of recent years I have come to think that Wordsworth was right: I now believe that (in Western culture at least) we hugely overvalue the rational, the intellectual, the literary and the academic in relation to the instinctive and intuitive, and that we are the poorer for it – in simple terms, we have given the Head dominion over the Heart, when they should at least be equal partners. In another post, I would like to consider this in particular relation to stories and storytelling; but for now, enough. 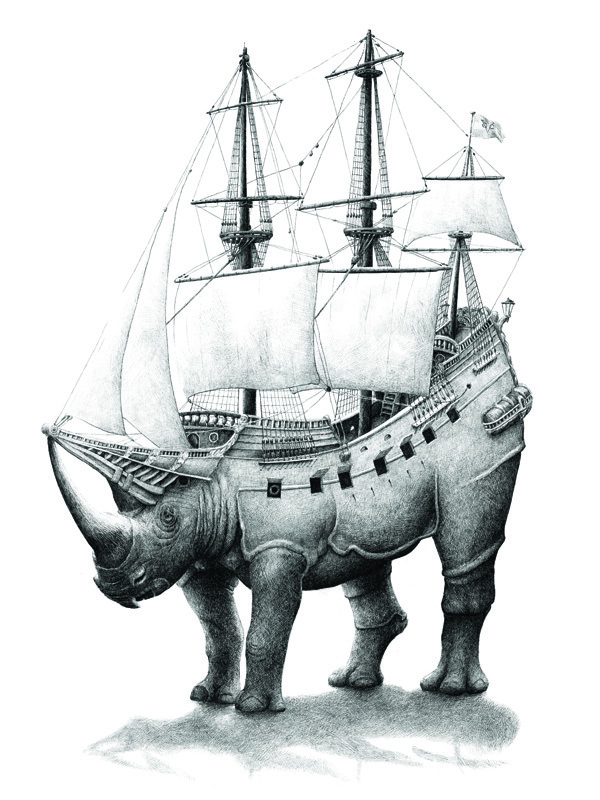 As a friend of mine observed, the rhinoceros looks very sad – perhaps he is reflecting on the fact that being a boat and still having to walk seems the worst of both worlds. I think that is an excellent demonstration of the power of poetry. On the face of it, it is absurd; a certain sort of adult would classify it as ‘nonsense verse’ and say dismissively that ‘it is meant for children’ – though it might give them pause to know that EV Rieu was a distinguished classical scholar, the initiator and editor of the Penguin Classics (to which I, like many others, owe my first acquaintance with the Iliad and the Odyssey). But it is far from nonsensical, for all that its subject matter is a baby hippopotamus being given a pair of boots for his birthday – for me it captures perfectly a very particular set of emotions that many people will recognise at once: it is not simply that the present, which had promised so much, turns out a disappointment; it is the little Hippo’s poignant realisation that it was meant to please, so he should do his best to seem grateful. And at the same time as being desperately sad, it is also very funny, as so many human situations are: ‘The world is a comedy to those that think; a tragedy to those that feel’ as Horace Walpole observed; though here I would change ‘think’ to ‘see’. we do not know whether to laugh or cry. The absurdity does not add to the pathos, it is essential to it. What is more ridiculous, more emblematic of futility, than an ill-judged present? It is not only the receiver who is disappointed; the giver too hoped for a quite different outcome, invested just as much joyful expectation in that moment of grand unveiling that went so sadly awry. There is no malice here: everyone has acted from the best of intentions, yet it has all gone amiss. What lends this poem its depth – what makes it ring true, to my ear – is the complexity of emotion in the second verse. We are familiar with another image of childhood, the spoiled brat, who receives a perfectly good present and behaves abominably, screaming and throwing tantrums because it is not what was wanted; what we have here is more subtle. The little Hippopotamus has been well brought up: he knows not only what he does feel but also what he is supposed to feel – and the two are at odds; this is his initiation into the grown-up world, where we must weigh the feelings of others against our own. And what is more agonising than the realisation that the disappointment you feel results, not from any spite or indifference, but someone’s sincere attempt to make you happy? ‘Mind-forged manacles’, as well as being one of Blake’s most resonant phrases, also shows how well (and succinctly) poetry (and art in general) can express a complex idea that it is difficult to express by standard reasoning. At the heart of Blake’s phrase is a contradiction, something that is anathema to conventional reason: ‘forging’ is the working of metal by force and, generally, heat; ‘manacles’ are metal shackles used for physical restraint; yet ‘mind’ is immaterial; mental, not physical. It is precisely in that contradiction that the power of Blake’s metaphor resides: he wants to emphasise the simultaneous strength and weakness of convention, man-made rules, which can bind us as strongly as steel shackles yet are self-imposed and entirely insubstantial – they are discarded not by physical strength but an effort of will, through recognising them for what they are (though that recognition is not enough in itself: it takes a conscious effort of will to break conventions). The power of the mind is, I think, generally underestimated and misunderstood, largely because we equate ‘power’ with physical force – so that proof of ‘mental power’ would be something like telekinesis, moving objects at a distance simply by thinking about it.That in turn stems from a narrow view of the world itself, which supposes it to consist only of what is physical: that is the ‘real world’ in which we are so often told we must live – yet the reality is quite the opposite. Our world consists, to a very great degree, of mental constructs – it is, in other words, mind-forged. Our way of perceiving the world is an ingrained habit of thought more than anything: it is not simply a matter of opening our senses and letting the outside world flood in; our interaction with our surroundings is a continuous act of interpretation, along lines that have largely become instinctive; but as various ingenious experiments show, our minds can be deceived. For instance, if we watch a mouth making a ‘b’ sound (technically termed a labial plosive: the lips are pressed together then blown apart) then see instead the mouth making a ‘v’ sound (a labio-dental fricative, where the lower lip is first caught behind the top teeth) we will hear a ‘v’ sound, even if the actual sound remains the same; and if the image switches back to the appropriate lip formation, we will hear the sound as a ‘b’ again; this will happen invariably – as long as we attend to the visual cue, it will override and alter the information our ears give us. This is called the McGurk effect – you can try it yourself here. This also shows how important faces are to us, and how minutely we examine them for information – so it is no surprise that we have the knack of seeing them in chance arrangements (pareidolia is the term, I believe) and also that we interpret things such as cars (with headlights like eyes and radiator-grilles like mouths) as having ‘faces’ (some amusing instances here). We can play with this tendency too: if we take the inverse mould of a face (such as the inside of a mask) we tend to see it as a positive face, which leads to weird effects if it is rotated – we continue to interpret the image as positive, and this causes us to see the rotation happening in the opposite direction to the actual movement (illustrated here). This is something that has long troubled philosophers – in essence, it is the same thing as the bent stick in water that exercised Plato: what we see (that the stick appears bent where it enters the water) is contradicted by what we know (that the stick is actually straight). This led Plato – and all who followed him – down the path of distrusting the senses, and maintaining a distinction between Appearance (deemed to be deceptive) and Reality (capable of being apprehended only by the intellect). Having spent much of my adult life in thrall to Plato, I now consider that a wrong direction, as I discussed elsewhere. Wittgenstein got that right, I think: language is not the best medium for engaging with the mystery, at least not the language of philosophy and rational discourse; poetry will get you closer – like the Blake quotation we started with, or Eliot’s Four Quartets – though my own instinct is that music or art are better tools of expression; but ultimately, perhaps, it is silent contemplation that will bring us closest to understanding. Poetry is a way of thinking. By ‘poetry’ I mean not just poetry but everything that works in a similar fashion – by imagination and instinct – such as music and art generally (it’s handy to remember that ‘poetry’ just means ‘making’) – and by ‘thinking’ I mean rather more than the narrow sense in which we usually employ that word – thinking is the totality of what we do inside our head, of which ‘rational thought’ is only a subset. 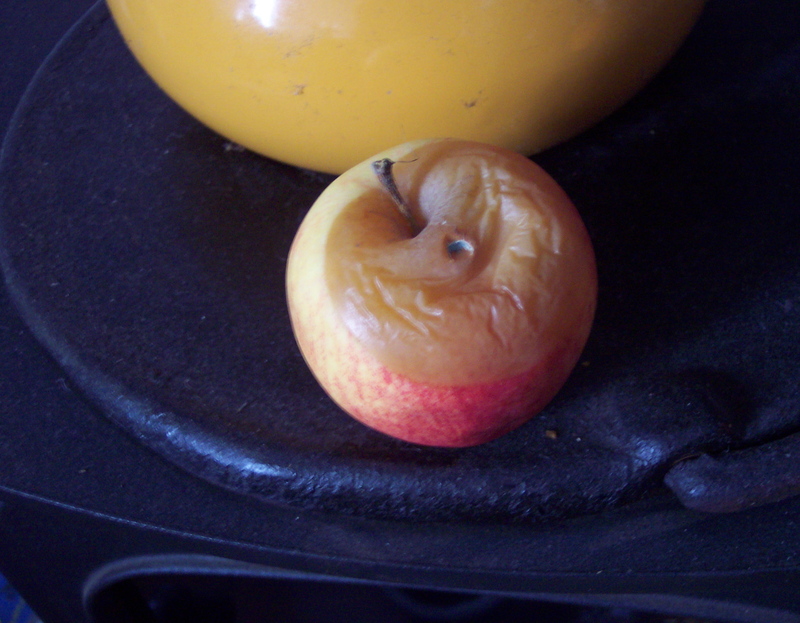 An instance: this morning, I had an idea for a book. It came as it usually does, out of nothing, and then all at once began to burgeon (the best image I have of this is cells under a microscope dividing and multiplying with great rapidity) which is always exciting – you think, ‘there could be this – and then this – and this -’ it comes in a torrent, yet all seems to hang together; you feel the connections branching out all over the place, you sense how it would all work, without having to examine it too closely. By the time I got back to the house, the excitement had subsided and a reaction had set in – again, this is familiar: a bit like the seed that falls on stony ground, some ideas spring up but do not have the soil to sustain them, so they wither as quickly as they came. And that thought – that this might be yet another disappointment, something of seeming promise from which nothing comes – brought to mind a poem by Seamus Heaney, Blackberry-Picking. Now Heaney of course when he wrote that poem had no notion of me standing on the doorstep reflecting on how ideas can suddenly fail of their promise, nor need he have had any specific notion of what the poem ‘meant’ or was ‘about’; the concrete experience of the blackberry picking, that mad joy followed by disappointment and disgust (and the fact of its being a familiar sequence) was what he sought to capture. Nonetheless, the poem illustrates perfectly what I was thinking about the failure of promise, so it does ‘mean’ that; that is what it is ‘about’. Nor do I need to add ‘that is what it means to me’ because the whole point is that we are dealing with universals here – by which I mean experiences of a kind that every human being has had, or has the potential to have. What Heaney as a boy experienced with the blackberries is something that many of us have found elsewhere in life; so the poem is not exclusively about any one of those experiences, it is an expression of each of them and it unites everyone who has ever felt anything like that, regardless of whether he ever picked a blackberry in his life. We can imagine that two such people might meet, and on reading the poem, would nod and exchange looks, as much as to say, ‘I see what he means’ or even just, ‘that’s true.’ And they might do the same on hearing a particular passage of music, or seeing a painting – they would recognise, if you like, that here is a concrete expression of a human experience, an experience they themselves have had; and the poem (or the music, or the painting) would connect them. That is the kind of thinking that goes on in stories, in music, in poetry, in art – this instinctive grasping of human experience, which our fellow-humans recognise and relate to when they see it. Reason, which does not like instinct and abhors jumping to conclusions, cannot explain it very well and tends to disparage and dismiss it or find some way to marginalise and subjugate it, but in fact it is central.